We will wrap up the series by going through the steps to balance a scenario and tidy it up for final release. The first step when balancing a scenario is decide what is ‘victory’. The starting point is to look at what the historical opponents achieved (or didn’t!). A number of factor come into play here. What were the historical orders – take a location, hold till relieved, delay the attacker or other considerations? Was there a time limit – did an objective have to be taken on some schedule? Does that mean there is a point the scenario logically should finish? 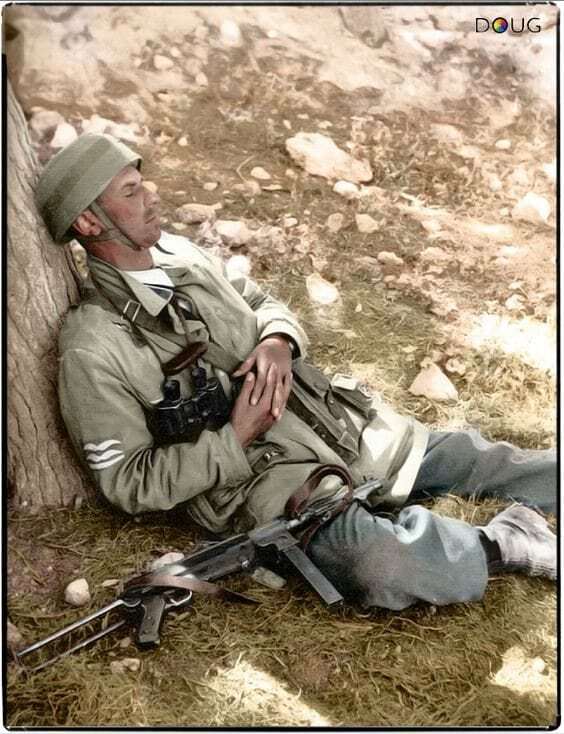 For the purposes of our scenario, achieving what the German’s did during the first day of the attack on Maleme will constitute a minor victory. They had cleared the Western and Southern side of the airfield. The Eastern side remained in Allied hands. The cleared much of the top of Kavkazia Hill, particularly Point 107 which overlooked the airfield. 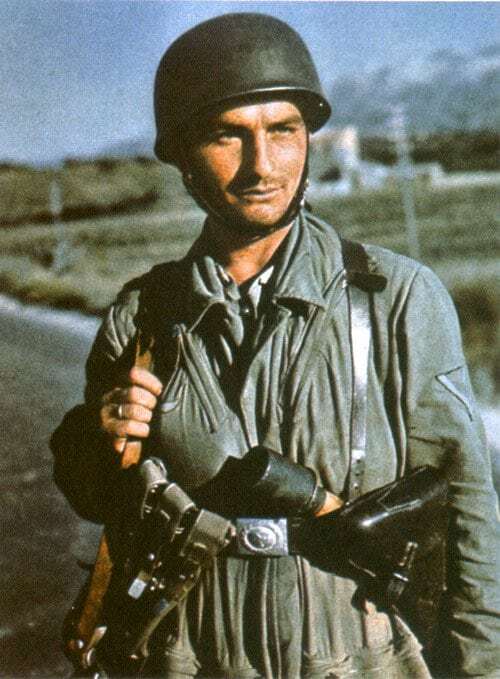 They had penetrated Maleme/Pirgos village in sufficient numbers to convince Lt Colonel Andrews to withdraw overnight. Ultimately. this was the most fateful decision of the whole campaign. There are 330 victory points in total with 125 on Kavkazia Hill, 145 around Maleme airfield, 50 in Maleme/Pirgos villages and 5 (not shown) at the AMES (radar) location further to the south. In total there are 245 points that are circled, with a further 85 available for capture. The victory value for objectives needs to be done with consideration to the actual victory point value of the forces involved. A decision has to be made on what is more important – taking an objective or inflicting/reducing losses. 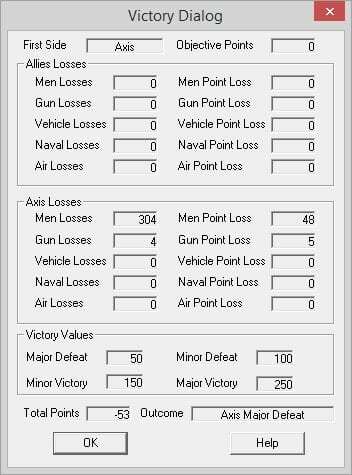 Where losses are a consideration, more emphasis on the actual number of points from losing men will outweigh victory location values. This would mean lower values for victory locations as compared to a scenario where capture and advance are more important. In the case of our scenario, victory locations are important so they will not be watered down. For example a 25 point victory location is the equivalent value of losing 150 men (roughly a company). Any victory location that is captured while losing less than 150 men will be additive. 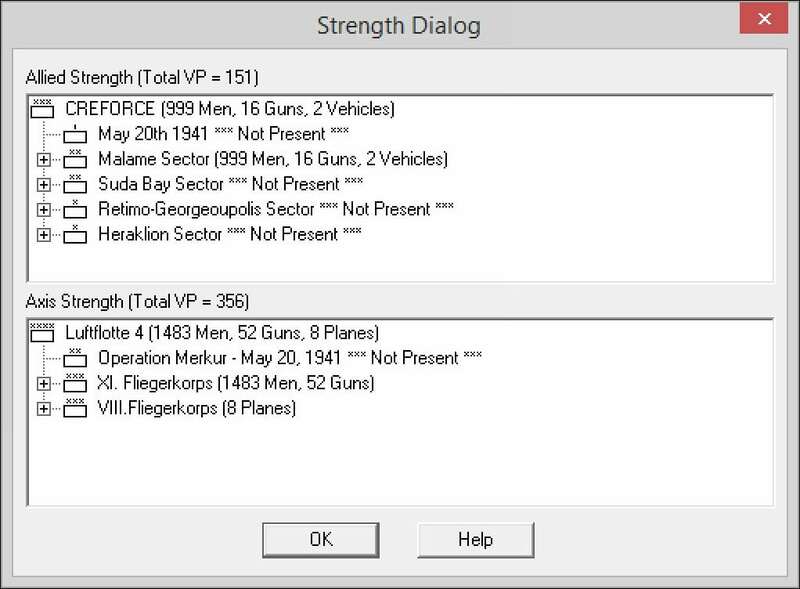 With significantly more forces, it would be normal to handicap the Germans due to their superiority. Normally a base line of the differential is used as a starting point – in this case the aforementioned 200 points. But there is one other consideration. As the Germans are arriving by air, there is significant losses that will be taken before the player has a chance to use his forces. These represent battle casualties while in the air or operational losses endemic with airborne insertions. Including a further 45 point buffer to reflect the need to move forward and attack. 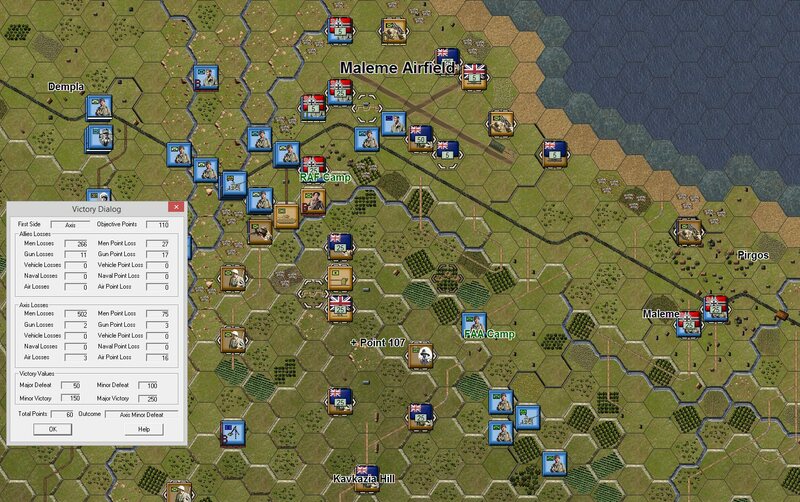 The German forces have to ‘go in harm’s way’ and will take additional casualties that have to be factored into the target score. Setting the other victory levels is determined around the Minor Victory target, but the minor victory is the key value initially determined. The last factor to be included is how many turns the players have to achieve their objectives. Ten turns have been set as an initial value to see what can be achieved in that time. The next step is to actually play the game and see what scores result. There are a number of ways this can happen. Here is an example of the results from five AI vs AI games. At no point can the attacking German AI win with the current victory levels. 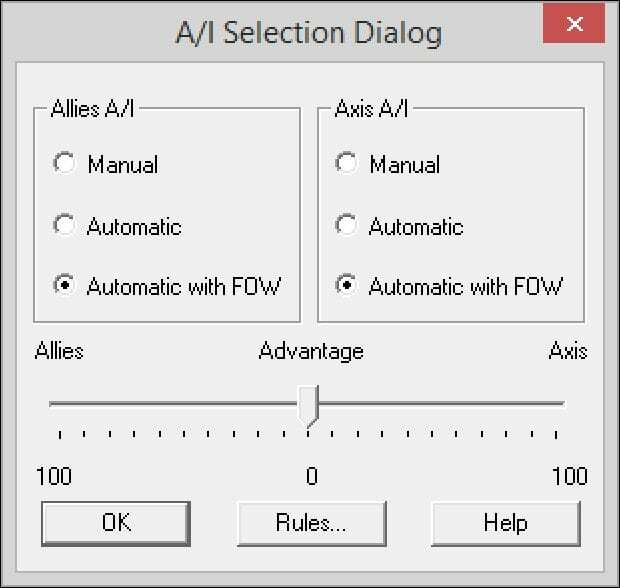 Once completed, the recommendation would be for the scenario to be either player vs the Allied AI or player head to head. An Allied player would probably wipe the attacking German AI. A special AI version of the scenario would be needed if we wanted the German AI to have a chance of winning. Victory locations are also consistent with four of the five games at approximately 100 points. The AI was close to taking at least one or two more 25 point victory locations. Something a human player would do. Next a play through as the German player vs the Allied AI. The scenario finishes with a German Minor Victory. The losses are similar to those taken in the AI vs AI games. The difference here are the victory locations taken. With 225 location victory points this tips the game in the German’s favour. 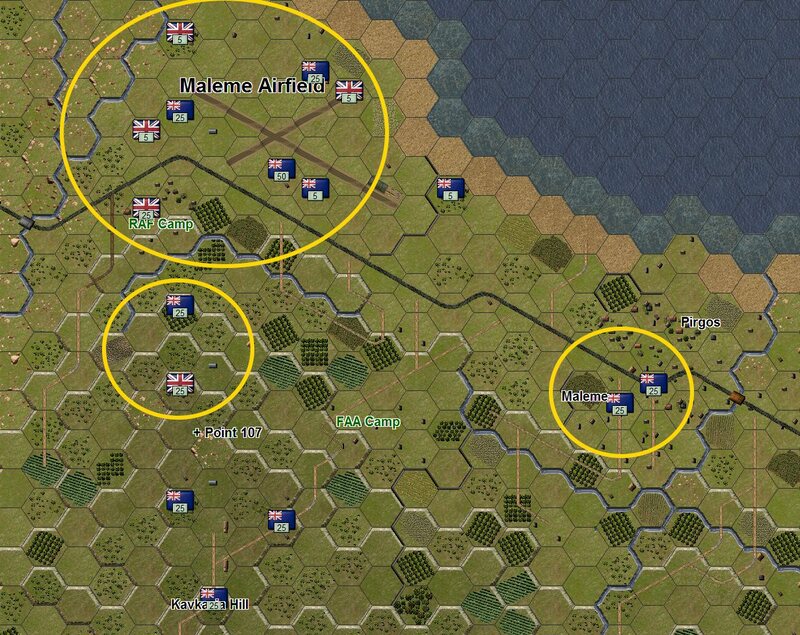 Many more locations have fallen due to the players ability to both consolidate his forces and isolate and break much more quickly each objective. Even so, the game was only won in the penultimate turn, though another 25 points would have been taken if the game had run to 11 turns. 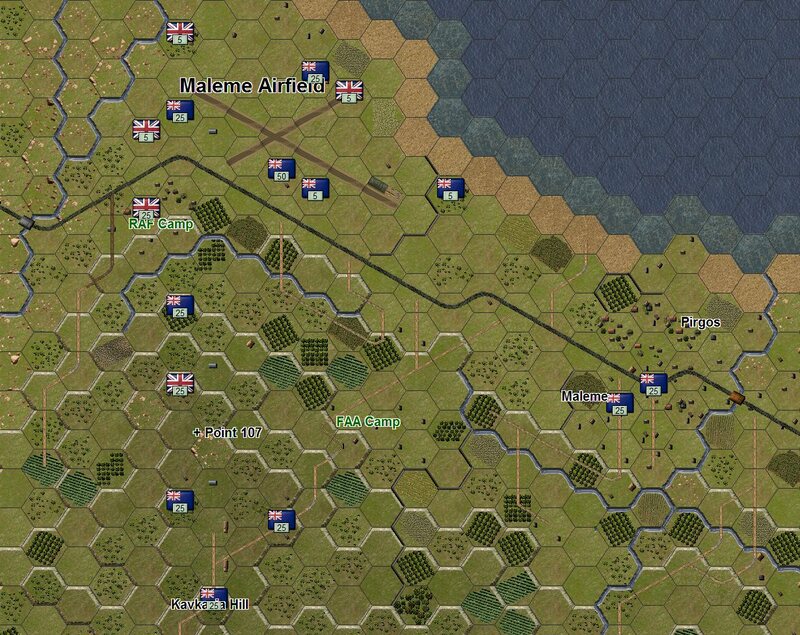 All in all this play through and others before it show that the current victory point levels are right for a German player vs the Allied AI. The next step is to run player vs player games. Usually these will be run with both players playing a scenario and then reversing the roles. Usually we would have a number of different players’ cycle through a particular scenario, collate the results and determine the changes that need to be made. Based upon these results a decision on whether a separate player vs player version of the scenario is created can be made, usually with possible adjustments to the victory points and/or the number of turns. Ideally, a single version of the scenario is all that is required, but we have the flexibility to go either way. With the testing completed we have confirmed the victory levels, numbers of turns and the timing of each major phase in the battle. If it has approximated history and given both sides a chance at victory we will usually be happy to release it. We have a new range of posts covering other areas that we hope will be of interest to you all and look forward to your feedback. I love these articles! These games are worth it for the historical analysis. A map and mathematical numbers are far more understandable than just an article. Though of course they can support each other.